This cheer bow is competition grade & made from only the highest quality of materials. It measures at approximately 7" x8" and you have several attachment options available to you. 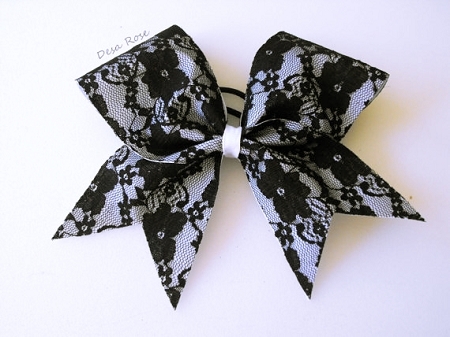 The bows from Desa Rose Bowtique are made to last ! 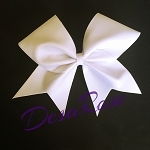 All of our designs are original and every bow is made by hand when ordered.